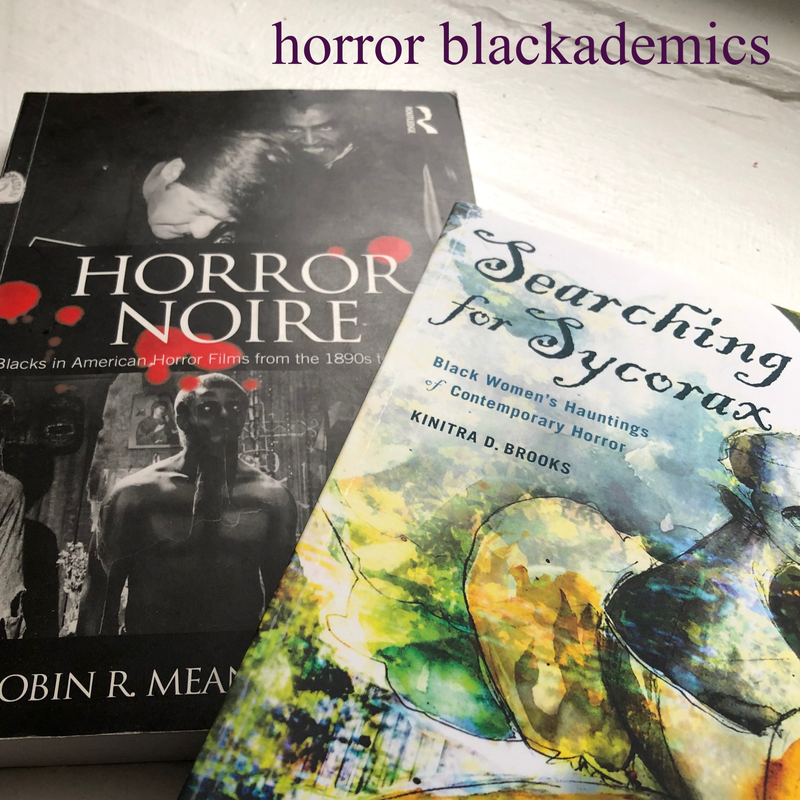 A part of the inspiration for this website is discovering the blog, Real Queen Of Horror orchestrated by the lovely Zena. 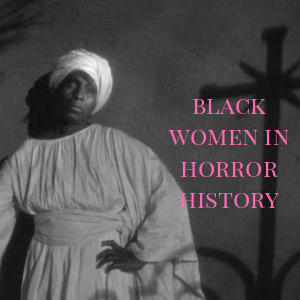 I figured, if a Black woman loved horror enough to start a blog and boldly describe herself as the queen of it, well, first, I had to get to know more about her and second, felt confident that there were other women of color who existed with a similar fervor for the genre. My mother is a HUGE horror movie fan, always have been and always will be. I'm the youngest of six children and whatever my mother watched, all of my siblings would gather around and watch with her. My father, on the other hand, is a big scaredy-cat and isn't afraid to say he won't watch something because it will give him nightmares. I was pretty much watching...listening to horror movies before I was even born, before I could even fully remember! And since then, it's always been a major part of my life. I know many girls were into horses, ballerinas or even baking. I was in to that stuff as well, but horror was my calling. I would rather watch Night of the Demons '88 than Eureka's Castle...and Eureka's Castle was AWESOME. 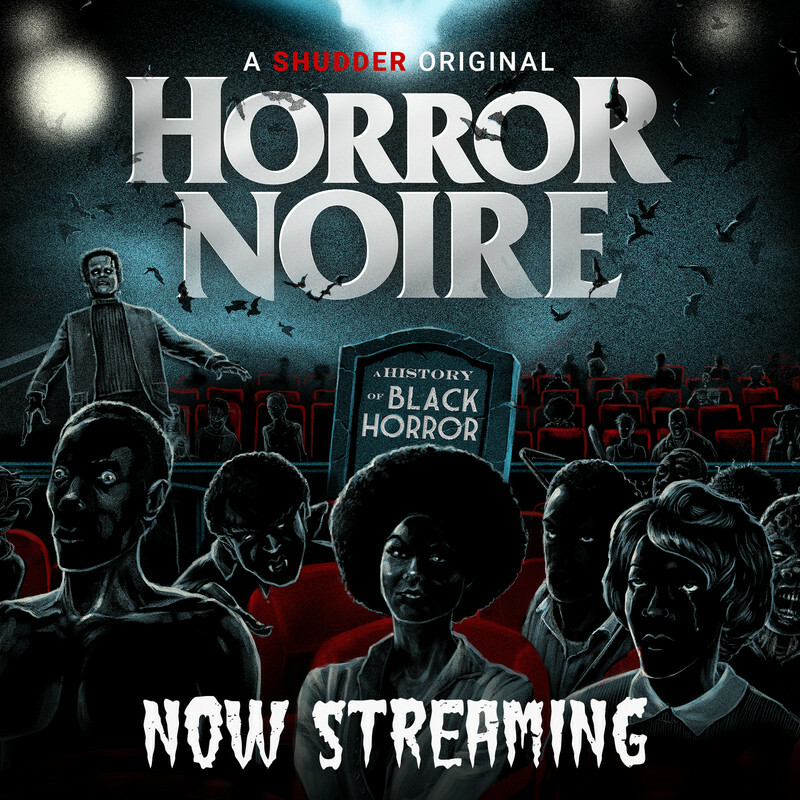 What gave you the inspiration to start the horror blog, Real Queen of Horror? My inspiration was myself. I did it for me since it was something I have always loved. Right before I created Real Queen of Horror, I felt like I didn't have an identity. However, I noticed there was one thing about myself that ALWAYS stayed consistent. That was my love for horror. In the past, I had many websites but I'd get bored with them, terminating them within two months. But with Real Queen of Horror, I knew it was going to be different because horror was not a phase for me. Since I watched horror movies on a daily, I thought, "Why not create a site about the horror genre?" Rather if it's horror news, reviews, interviews...anything horror related was something I wanted. The only thing I wish is that I created the site sooner. I come across many people who feel that I shouldn't be a horror fan. They think it makes me "crazy" because that's what I like, while other times they feel I'm lying because I don't look like a horror fan. I had no idea that a dress code applied! There are even people who insist on challenging or quizzing me. I honestly don't mind because I love horror movies and I love talking about them. I have many goals for myself, but just so this won't be a thirty page essay, I'll share two! Aside from Real Queen of Horror, I'd love to write full time for a horror based magazine or website. I also aspire to be a filmmaker. I've made short films here and there; however, I'd love to do more on a large scale. I know that it's not going to be easy. 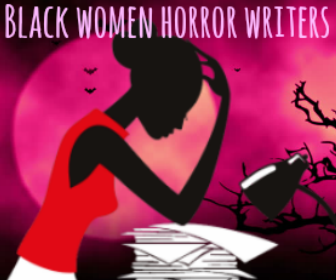 I constantly experience people refusing to read Real Queen of Horror, let alone anything I write simply because of my complexion. 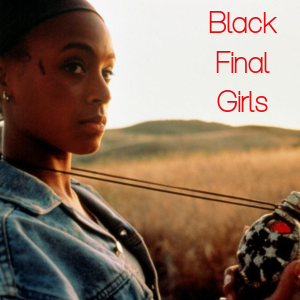 As for other black women filmmakers in the horror industry, I don't want them to give up either. It's unfortunate that we won't get noticed or even be looked at as being attractive unless someone higher up feels that they would like to give us a chance...or if we dress slutty. It's sad and unfortunate, but it's true. 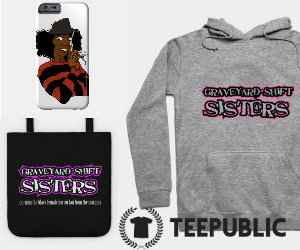 I want other black women in the horror industry to stay true to themselves. If horror films is what you'd want to do because you love it, then do it and don't let anyone tell you otherwise. However, if you're just using horror films as a way so you can get your foot in the door, I say study up. There are people like myself who have been watching horror movies their entire lives and truly love it. If you can only hold a conversation on the basic, common horror movies, please go back to the drawing board. To make a horror movie doesn't only mean blood and gore, there are mechanics about this genre. Mechanics that were paved by previous horror film director legends. Just like there is formula to action movies or fantasy movies, there is a formula to horror movies. If you're in it for the money, fame, attention or because you were inspired by Michonne from The Walking Dead, the truth always comes out. I simply want to be a part of the horror genre because I love it. I hope you do too. What can you tell us about any of your current or future projects? There are a couple of upcoming projects. 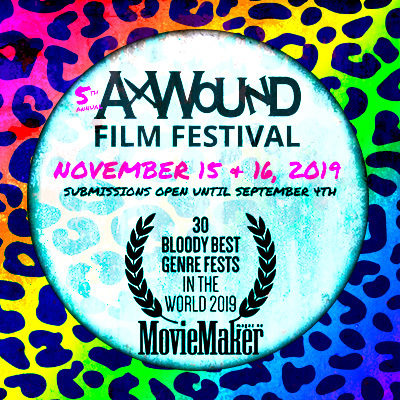 At Real Queen of Horror, I received a sponsor who wants to host a 60 second online film festival. The grand prize is 100 bucks! The second upcoming project are my short films! I aspire to be a film director, so this year I will showcase about three of my short films which I plan to share in festivals and with other film reviewers. Lastly, I'm going to be bringing back my detailed horror movie video reviews. I used to do them consistently; however, my schedule became a bit hectic. I plan on bringing back those reviews, it will be every Monday night starting in February! 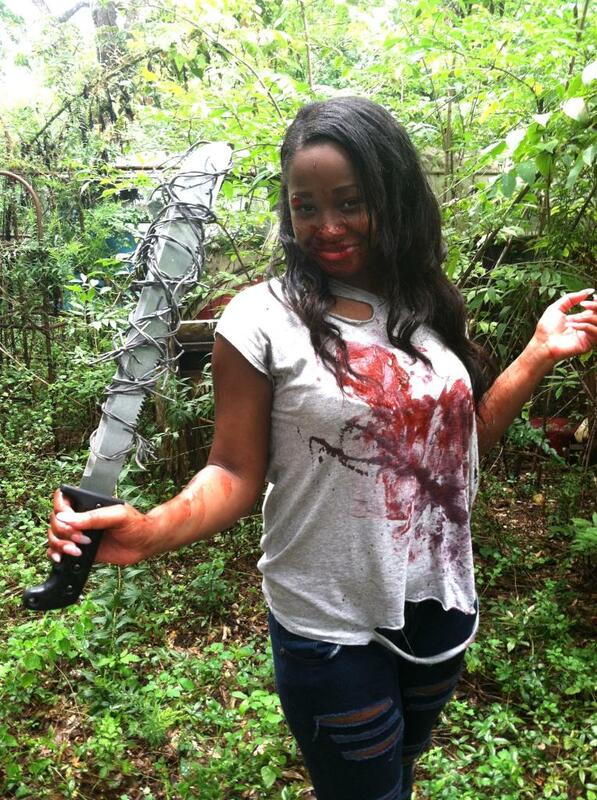 Check out the Real Queen of Horror blog turned dynamic site and enjoy!